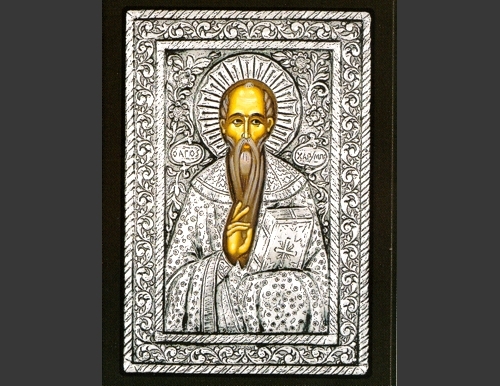 An exquisite silver Greek Orthodox icon of the St.Charalambos. 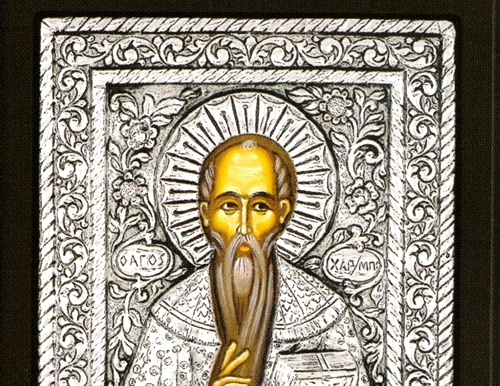 Martyr Charalambos was a priest in the city of Magnesia in Thessaly during the late second and early third century. He was martyred, having openly preached the Gospel during persecutions during the reign of Alexander Severus (222-235). His feast is commemorated on February 10.